A new Peruvian spot has debuted in the neighborhood. Located at 58-28 Roosevelt Ave. in Woodside, the new addition is called Kamcha. The restaurant offers authentic Peruvian fare, including traditional Peruvian dishes, Peruvian-Chinese fusion and seafood-focused entrees. On the menu, expect classic choices like lomo saltado, sauteed beef with rice and french fries; and tallarin verde, linguine with basil, spinach and cheese sauce plus chicken, beef or seafood. There's also Peruvian-style lo mein and Peruvian-style fried rice. With a three-star rating out of five reviews on Yelp so far, Kamcha has received mixed feedback -- but it's still early days. Michelle P., who was among the first Yelpers to review the new spot on Feb. 19, wrote, "They have a sangria bar with different flavors, which was not only cool but delicious! We had to eat lomo saltado and tallarin saltado, and both plates came out with great presentation and tasted just the way they looked." 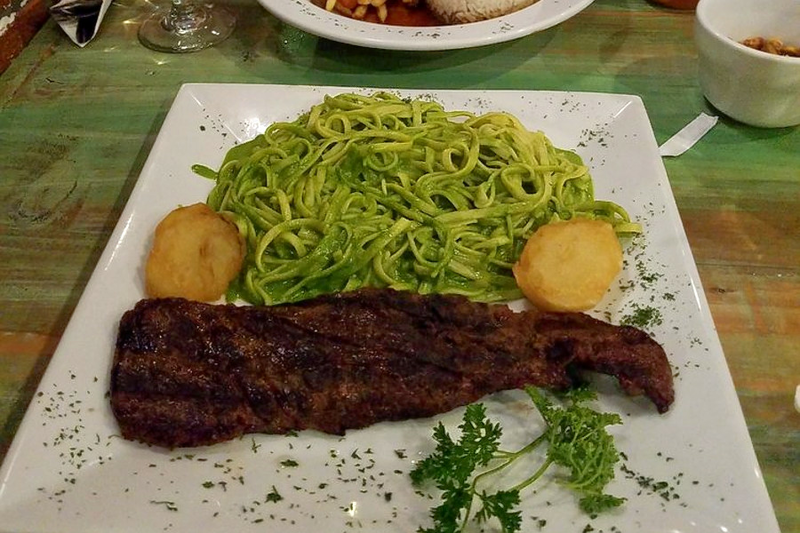 Yelper Melissa H. added, "I had the skirt steak with the green spaghetti, and it was delicious. The arroz chaufa they have on the menu could use a little more seasoning, and the rice was harder than I expected. Overall I did enjoy the food and would go back." Head on over to check it out: Kamcha is open from 11 a.m.-10 p.m. on Monday-Thursday, and 11 a.m.-11:30 p.m. on Friday-Sunday.